University Relations – Kappa Phi Lambda Sorority, Inc. If your academic institution or campus Greek council is considering adding Kappa Phi Lambda to your roster of chapters, please see below for our following standards and policies. Additional information can be provided to university faculty by request. 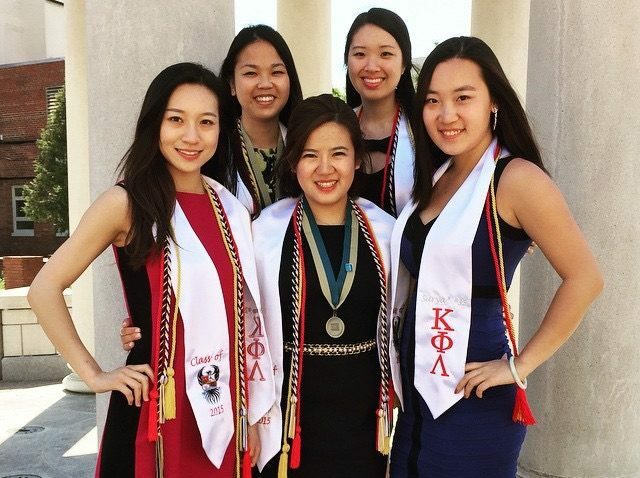 Members of Kappa Phi Lambda are required to maintain the minimum academic standards for students wishing to participate in Greek life at the university they attend. This academic standard may include a minimum GPA, required number of credits or general academic standing. The National Board of Kappa Phi Lambda will work with university advisors to ensure appropriate requirements are met for all its members. In addition, the executive board of individual chapters or colonies of the sorority may set additional academic requirements for recruitment and membership. Kappa Phi Lambda strictly prohibits hazing. Hazing is defined as “Doing, requiring or encouraging any act, whether or not the act is voluntarily agreed upon, in conjunction with initiation or continued membership or participation in any group that causes or creates a substantial risk of causing mental or physical harm or humiliation. Such acts may include, but are not limited to, use of alcohol, creation of excessive fatigue, and paddling, punching or kicking in any form.” Hazing is against the national standards of Kappa Phi Lambda by its National Constitution and Risk Management Policy in accordance with university policies and state laws. Kappa Phi Lambda believes that all existing and prospective members have the right to be treated fairly, with dignity and respect. Hazing will not be tolerated by Kappa Phi Lambda and violators may be subject to fines, suspension or expulsion by the National Board. Kappa Phi Lambda Sorority, Inc. does not discriminate on the basis of age, race, sexual orientation or creed. In fact, we uphold the importance of diversity in all our chapters and colonies. All current and prospective members of Kappa Phi Lambda are required to follow strict alcohol and risk management policies. The policies are in accordance with state laws, and are expected to be enforced by university administrators and the National Board of Kappa Phi Lambda. Each established colony or chapter is required to maintain a risk-management chair responsible for reporting all incidents to Kappa Phi Lambda’s National Board, university administrators and state and federal officials. If any issues may arise, the National Board of Kappa Phi Lambda will work in close cooperation with the university.